There are certain points in every business cycle when even the optimists give up and accept that they are about to lose a lot of money. For the aviation industry, I’m afraid that point has now been reached. The past two weeks have given us a snapshot of how badly airlines will be affected by oil prices at $115 a barrel and it does not look good. At least six airlines have gone bust or sought bankruptcy protection in the past two weeks including Frontier, a large US carrier that operated out of Denver. American Airlines reported a first quarter loss of $328 million and even mighty Southwest, the pioneer of the modern low-cost carrier model, saw profits fall from $96m to $34m in its first quarter. British Airways, Ryanair and easyJet in the UK have all reported profit warnings and carriers across Europe are feeling the hurt. But if this were a horror movie (as opposed to just horrible) the body count would still be low and there is a lot of gore to come, particularly as the big airlines see their oil hedging unwind over the next couple of months. So, rather than paying, say, $80 a barrel for half their fuel needs they will pay the full market rate for every flight – imagine what that will do to American’s third and fourth quarter results. Of course, this is not the first time in the past decade that the airline industry has looked into the abyss. After the September 11 attacks nobody in the United States was very keen on flying and their reluctance was compounded by a post-dotcom slump that put a strain on corporate and personal budgets. The President told America to go shopping and it did, but only locally. The US airline industry, already emotionally rocked by 9/11, was hit badly by that downturn and nearly all the major carriers had to seek Chapter 11 bankruptcy protection. As a result, most of the big USairlines have been unable to invest in new, fuel-efficient aircraft so are feeling the impact of rising oil prices far more than carriers in other parts of the world. Delta and Northwest have responded by seeking a merger that will create the world’s largest carrier and they are banking on abundant cost-cutting opportunities and economies of scale to keep them airborne. This is a coping strategy that airline executives in the rest of the world will also have to consider soon as nobody is immune from rising fuel bills. It seems likely that consolidation in Europe will be led by Air France-KLM and Lufthansa and they will probably go after targets such as Iberia, SAS and Alitalia. British Airways would love to be part of this consolidation but it may struggle to raise sufficient financing if, as analysts expect, its profits collapse by a half or even two-thirds during this year. BA’s ability to raise debt will also be constrained by its need to pay for a new fleet of aircraft, which could cost up to $500m a year. The big prize for Europe’s airlines would be consolidation withAmerica’s carriers: BA would like to do a deal with American Airlines, Lufthansa with United and Air France with Delta-Northwest. Unfortunately, politicians in the US are not so keen on those sorts of alliances and are threatening to block the next phase of aviation liberalisation, which would allow Europeans to own American carriers. However, the biggest unknown in the next phase of consolidation is how the Middle Eastern carriers such as Emirates, Etihad and Qatar Airways will respond. Emirates will report its results later this month and I can safely predict that it will be in profit. The airline has aggressive organic expansion plans and will start taking delivery of its market-killing A380s later this year so it certainly does not need to start buying airlines for growth. 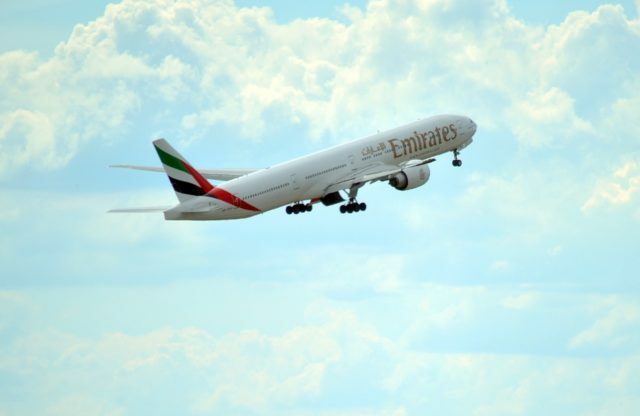 It would be a mistake for Emirates to divert capital and management attention to crippled carriers in other parts of the world with so much going on internally. For Etihad and Qatar Airways a bloodbath inEurope is more enticing as neither have Emirates’ size or regional dominance. Qatar Airways in particular has such a small domestic market that it needs a partner airline if it wants to develop a global footprint. The Middle East could therefore play a role in the forthcoming consolidation of the airline sector – the question is whether protectionist governments in Europe and North America would rather their carriers go bust. Next articleCorporates Catch Sub Prime Virus – Are Gold Investments To Follow Next?